I’ve got a few reasons for why it’s my favorite tool. Ya with me? That’s right. Mint is free free free 100% of every day all year long. Free doesn’t automatically mean something is simple, but Mint is both FREE and SIMPLE. Sure, it may not do all that another app does, but it’s easy to forgive those little things. I’d rather keep the basics the basics, using a system that doesn’t require too much of me. I like budgeting to be simple: Simple to understand. Simple to do. Simple to track. Simple to access. Nope. Mint does it. Mint does it well. A budget is not a one-size-fits-all situation. If it were, we’d all have it figured out (...and we know that's not the case!). When you create your budget, you have to start somewhere. I have an ideal budget, but it’s never black and white for me. Mint makes it easy to edit your budget throughout the month, even down to the dollar. If I spend $22 on Personal Care Items at Target, but I only budgeted for $20, I go in and change the budget from $20 to $22 in a jiffy. Then, I pick another category in my budget and reduce it by $2, so I don’t overspend that month. I tweak my budget every week, friends. It’s normal. I end up resetting my budget back to my “ideal” budget on Day 1 of each new month. In fact, my ideal budget is so normal to me now that I have it memorized. Mint allows you to fully customize your budget. 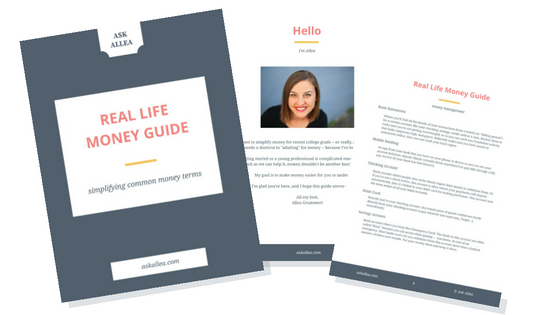 You can create brand new categories for budgets, too. But something like Service & Parts for my car? Those expenses happen all the time, so I always include them in my monthly budget, whether I end up spending money on my car that month or not. I set the budget to “roll over” expenses from one month to the next. That way, when I have an $800 tab at the mechanic, I have the money saved up to pay him without having to pull anything from savings. Winning! To do this, check the box under each budget that says, "Start each new month with the previous month's leftover amount." I’m a fan of rolling over expenses for fun budgets too — like saving up for a shopping spree. I shop less than I used to, and now that I prefer to spend a little more on clothes (while buying less of them), I roll over my clothing budget from month-to-month to make sure I have money saved up before I go dropping hot dollas on a Saturday at the mall. Whether you want to budget a one-time expense or set up regular expenses to roll over, Mint makes it easy! Make it how you want it, friends. Other than the fact that Mint is free, my favorite thing about it is the automatic accountability. We so often swipe our credit or debit cards without second-guessing. By not tracking our expenses, we usually can’t see where that money is going. That’s no bueno. We want to know where our money is going. Mint syncs with most banks, credit cards, loan servicing companies and investment accounts. So every time I swipe my credit card at Walgreens, I’ll see it pop up under Transactions in my Mint account. And what do I do in that moment? I sit and wonder, “What the heck did I buy at Walgreens for $12?” It forces me to recall my purchase. "Was it medicine? Snacks? Photos?" By every transaction showing up automatically in Mint, I’m held accountable for where each dollar goes. I’m all about that. In addition to tracking your expenses, the syncing feature means that Mint pulls the balance of each bank account, credit card balance, loan balance and investment account. It calculates the difference between your assets and your debts for you — giving you your Net Worth. You don’t even have to do the math. They do it for you. After you’ve created the categories for your budget, you’ll get in the habit of checking your transactions regularly (I suggest a couple times a week). I save receipts for places like Target, Walmart and Walgreens, where you’re never really sure of what all you paid for. And most of the time, the whole purchase wasn’t all for one category in your budget either. Enter, the ability to split transactions! It’s easy to split transactions in Mint, which is really helpful when a purchase at Target could be for a gift, or groceries, or hair products or whoknowswhat. As a “Rule,” I make sure Mint always categorizes any Target transactions as “Uncategorized.” This way, I have to go in and manually categorize what the purchase was for. And if I don’t, the transaction just sits there all UNCATEGORIZED until I do something about it. It’s annoying enough that I’ll want to fix it. It’s a game, and I’m willing to play. Especially if it means my expenses are tracked accurately. The perks of using one tracking app for a long time is that I can pull data on my spending from yeeeears ago. I use this feature to see how much I spent on gifts throughout the year, so I can better budget for the next year, including plenty rolled over to spend on Christmas gifts at the end of the year. The app is free. It’s gorgeous. It’s easy to use. And I love it. I’ll often reference my Mint app while at the grocery store to make sure I’m not going to go over budget — you know, before I purchase all the Pop Tarts. For extra security, add a four-digit passcode or set up your app with Touch ID. You know, so no one goes snooping around your budget. That’d be weird [and a total cause for trust issues with that person]. Note: Typically, I like to do my “Day 1 budget reset” each month from my laptop browser. It’s just easier/faster to use than doing it from my phone. But to each his own. I can say that my experience with Mint has been safe and secure. I can’t make any bold claims about their back-end security, but I do know that they’re owned by Intuit, which also runs QuickBooks (which I use at work on the daily), so I trust them. 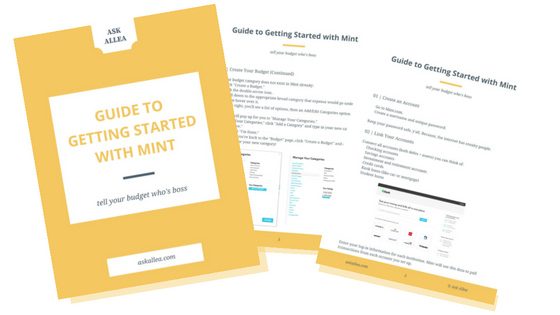 Based on my experience of using Mint since 2010, I highly recommend Mint to all of my budget coaching clients. It’s an easy answer for me. Try a free account with Mint to get started tracking your month. What do you think? Is it love at first sight?